Every week, after Shabbat services, the congregants of Temple Israel Ner Tamid make Peanut Butter & Jelly sandwiches and deliver to the homeless of Cleveland. The van we use has over 260,000 miles and is in need of major repairs. We are looking for a “newer” van. The cost will be approximately $15,000. 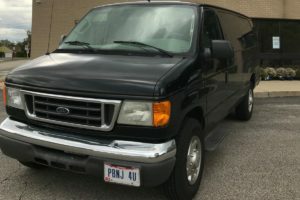 Please help us raise enough money to purchase this van, that our congregants can safely continue in our mission. Please contribute and share the link below with your friends Thank you!